This perfectly formed educational print (shown below) of Welsh Water’s areas of water care has kindly been donated to our picture library. 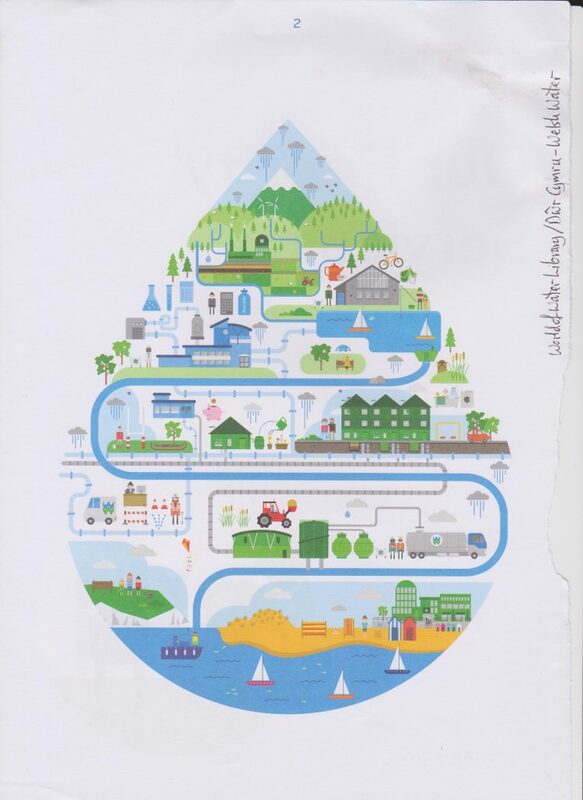 It is an accurate graphic illustration of the water cycle and depicts the various ways which water is harnessed for use in Wales – all neatly designed within a water droplet shape. The World of Water library holds many such prints and originals that relate to the Water Cycle. One of these prints, titled “The Long Drawing“, has been enlarged onto two outdoor waterproof banners totalling 18 metres in length. These are available for educational use at events, fairs, shows and parades.